In her years working behind-the-scenes as a hairdresser and make-up artist on The X-factor, Lou Teasdale has tested hundreds of hair and beauty products and learned the invaluable tricks of the trade. With her industry insight this makes Lou the go-to expert on what should make up your make up bag and essential toolz, buying the best bargains and how to have fun with new, contemporary looks. So if you want to achieve effortless style and beauty – without a hefty price-tag – Lou will teach you her DIY steps for salon fresh locks and high-impact beauty techniques. The Craft has 25 essential projects that will ensure you look and feel your best – in no time at all. 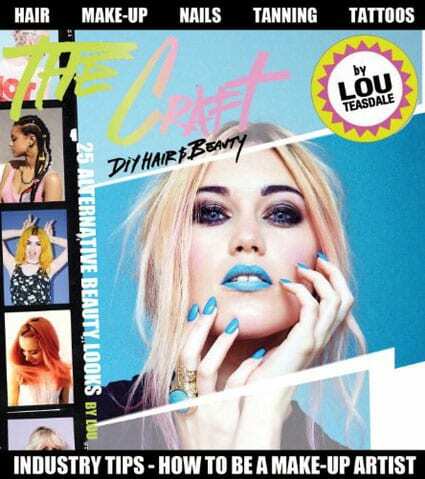 From fancy fishtailing, twisting, or dip-dying your hair to creating the perfect foundation base or smokey eye effect, Lou will help you capture Cara Dee’s expressive brows, nail the perfect fingertip design, and keep up with fashionable trends, including the latest spider-legs lash effect. With simple, easy-to-follow steps and key tutorials, Lou also offers her advice on breaking into the beauty business, so that budding enthusiasts can learn from her own experiences and create their own unique looks. The Craft is guaranteed to bring the fun back into beauty so that you and your friends can confidently achieve your own individual identity or funky fresh looks in your own bedroom.